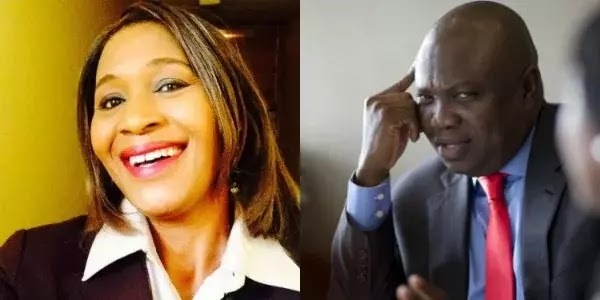 Controversial journalist, Kemi Olunloyo is at again, and this time Gov. Ambode of Lagos is the victim of her "investigative journalism anger". manslaughter of 35 people who died in collapsed building, while TB Joshua has not been charged with manslaughter, for the death of 100 South Africans, who died in his church's collapsed building. She also disclosed that the Pastor has not shown up for his court cases, nor compensated families of those who died in his church. "#HNNInvestigates On August 6th my 52nd birthday #DailyPostNG asked me questions about pastors. I called Oyedepo a child abuser, Pastor Tuberculosis a "manslaughter king". TB Joshua was never charged for manslaughter of over 100 dumb South Africans who left their own country to worship with a Nigerian pastor in an illegally constructed building that collapsed and killed them. Today Richard Nyong of #Lekki Gardens was charged with manslaughter of 35 people for the same thing--a building collapse claiming lives. So far two court dates and TB has never showed up or even compensated the families in his own case. Once again SHAME on the Lagos state government for practicing selective justice for pastors. Hell awaits you Governor @akinwunmiambode. #FreeTheSheeple #hnncrime #hnnreligon"